stocks is analogous to the Hanged Man, a punished criminal. additional information about Schoen and his work. Kaplan also notes that “the picture as a whole resembles the World, with a figure reigning over the circle and four beings in the corners”. On ATF, Kwaw has noted that “the depiction of the sign Cancer is very much like that of the moon card, more crayfish than crablike”. Here are the details of the images of the 12 Houses, with textual descriptions taken from a Renaissance essay about Geomancy erroneously attributed to Einrich Cornelius Agrippa. William Lilly's longer descriptions of the twelve houses are available here. 1st House: The first House sheweth the person of the Querent, as often as a question shall be proposed concerning himself of his own matters, or any thing appertaining to him. And this House declareth the Judgement of the life, form, state, condition, habit, disposition, form and figure, and of the colour of men. 2nd House: The second House containeth the Judgement of substance, riches, poverty, gain and loss, good fortune and evil fortune: and of accidents in substance, as theft, loss or negligence. 3rd House: The third House signifieth brethren, sisters, and Collaterals in blood: It judgeth of small journeys, and fidelities of men. 4th House: The fourth House signifies fathers and grandfathers, patrimony and inheritance, possessions, buildings, fields, treasure, and things hidden: It giveth also the description of those who want any thing by theft, losing, or negligence. 5th House: The fifth House giveth judgement of Legats, Messengers, Rumours, News; of Honour, and of accidents after death: and of Questions that may be propounded concerning women with childe, or creatures pregnant. 6th House: The sixth House giveth Judgement of infirmities, and medicines; of familiars and servants; of cattel and domestick animals. 7th House: The seventh House signifies wedlock, whoredom, and fornication; rendreth Judgement of friends, strifes, and controversies; and of matters acted before Judges. 8th House: The eighth hath signification of death, and of those things which come by death of Legats, and hereditaments; of the dowry or portion of a wife. 9th House: The ninth House sheweth journeys, faith, and constancie; dreams, divine sciences, and Religion. 10th House: The tenth House hath signification of Honours, and of Magisterial Offices. 11th House: The eleventh House signifies friends, and the substance of Princes. 12th House: The twelfth House signifies enemies, servants, imprisonment, and misfortune, and whatsoever evil can happen besides death and sickness, the Judgements whereof are to be required in the sixth House, and in the eighth. Thanks for bringing these to our attention, Marco. Here is what I think. 1st house: someone giving birth. Correlates to the Fool, someone totally ignorant. 2nd house: artisan. Correlates to Bagatto, someone using a skill for material gain. 3rd house :one person in religious garb reading to another, one or both perhaps a nun. Correlates to Popess, who always holds a book and is dressed in religious garb. House of family, traditionally the domain of women, and "fidelities", i.e. faith. 4th house: plow. Two-wheeled pulled vehicle correlates to Chariot. 5th house: children playing. Correlates to Sun card, if the image is like the Marseille, in which one of the people has his hand on the other's back. 7th house, Marriage. Correlates to Love card. 8th house. Death. Correlates to Death card. 9th house. Pope. Correlates to Pope card. 10th hosue. Emperor. Correlates to Emperor card. 11th house. Wheel. Correlates to Wheel of Fortune card. 12th House. Man in stocks. House of imprisonment, i.e. punishment. Correlates to Hanged Man card. 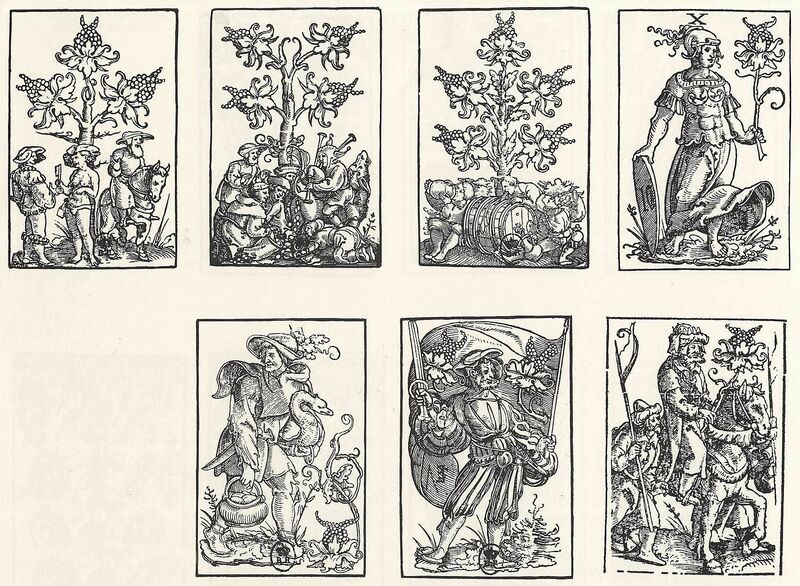 What is striking to me is how in the 5th and 6th house, the images correlate with the Marseille-style cards better than with the known 15th century images. That suggests to me that the Marseille-style images might date back to the early 16th century. The relationship of the tarot image to the astrological House is either visual or conceptual or both. 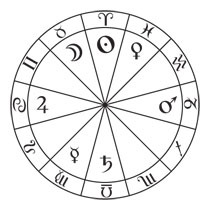 To me these are interesting not as an application of the tarot to astrology (which they are not, without further information pertaining to the zodiacal signs and planets in each house) but rather as giving clues to how the tarot looked and was conceptualized in this time and place. 1. House of life: image of a woman giving birth. Newborn is an image of ignorance and so the Fool. 2. House of livelihood and material well-being: image of a cook or artisan at his table. Similar visually to Bagat image. 3. House of brothers and communication: person in clerical dress reading to another, perhaps a woman, perhaps his teacher; similar visually to woman with book on Popess card. 4. House of parents and Family: old man showing young man how to use a plow with two large round wheels. Similar visually to the Chariot card. 5. House of children and pleasure. Two children with arms linked, one on a hobby horse. Similar visually to the Sun card. 6. House of Health and Sickness. Man in a sick bed being visited by two others. This one I relate conceptually to the Tower card. The card shows lightning and other phenomena of nature (hail or earthquake) bringing misfortune and fear. "Maison-Dieu" sometimes referred to a hospice for the ill and dying. 7. House of Marriage and Partnerships. Priest marrying a crowned man and a woman. Corresponds to Love card. 8. House of Death. Shows a skeleton with a sickle, as in Death card. 9. House of Religion. Shows a Pope, as in Pope card. 10. House of Social Position, Government. Shows an Emperor, as in Emperor card. 11. House of Good Fortune. Shows a Wheel, as in Wheel of Fortune card. 12. House of Enemies, Imprisonment. Shows a man in the stocks. Similar conceptually to Hanged Man. The similarity of the image for House 5 to the Tarot de Marseille Sun card suggests to me that the Tarot de Marseille image of the Sun card was in existence before 1515. Also, relating to House 12, it suggests that "Maison-Dieu" as a hospice may have been a title for the Tower card by then; it was originally called "arrow". The whole riddle of Schoen's representation might be, that Schoen knew a little bit of Tarot cards ... and implanted some of them in his calendar. I think, only one artistic deck is known by him, likely one cannot take him as a normal "cardmaker". Between many other stuff he also once made a playing card deck. Between other art here are some of his playing cards. He uses own suits, or at least "rare suits". An old man leaving, thinking, that everything is safe at home, a woman with a "Keuschheitsgürtel" and the key to it in her hand, a young man approaching and lucky to see her and the key. In the background the suit sign, it's a three of vine, perhaps associated by Italian "cups". 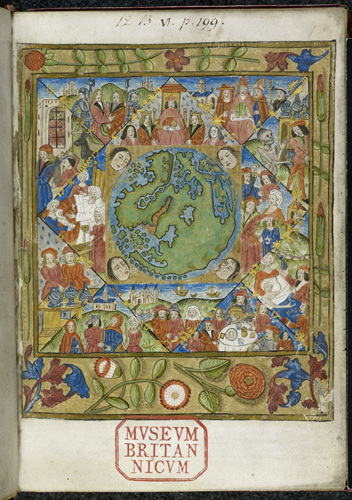 Miniature of the horoscope diagram for the day in which the world was created, including a world map within an astrological chart and personifications of winds, surrounded by 12 triangles with symbolic scenes representing aspects of life associated with the twelve astrological houses. The world map is a loose copy of the world map printed by Francesco Rosselli in Florence in 1492-3, which was copied from Henricus Martellus map (Additional 15760 f. 69). Another presentation copy of the same text, illuminated by the same artist, and addressed to prince Henry, future Henry VIII, is Bibliothèque Nationale de France, ms. Lat. 6276. I hadn't noticed your post until recently, Steve; it is a nice find. It suggests to me the possibility that when the tarot images were seen astrologically, it was not in terms of the zodiac (for which we have no evidence) but in terms of the houses (for which we now have two bits of evidence). The question then is, how would the other members of the sequence have been seen in such an astrological interpretation: i.e. Empress, Justice, Hermit, Fortitude, Temperance, Devil, Star, Moon, Judgment? There is no reason why there should be an answer; but it is worth asking. "The world map is a loose copy of the world map printed by Francesco Rosselli in Florence in 1492-3, which was copied from Henricus Martellus map (Additional 15760 f. 69). - if you look at the larger figure the signs and their degrees are in Gold on the house lines: showing the planets in their signs of exaltation--"